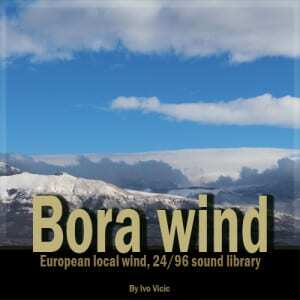 Bora wind library consists 124 minutes/4GB of high-quality recordings. Recorded in 24bit/96kHz M/S and A/B stereo (decoded to X/Y stereo), total 51 (Wave) recording. 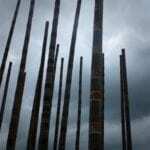 Recorded over the period of 5 years.This sound library contains many different wind sounds/situations separated in following folders by its character: 01 Grass on wind, 02 Wind in forest, 03 Sqeaking trees, 04 Power lines, 05 Wind indoor. Here you can find everything from moderate breeze to hurricane force winds, various indoor and outdoor wind recordings etc. However, you can apply these recordings in various “wind needed” situations as well there where the requirement for original Bora sound exists. Maximum peak level on all recordings is -5 dBFS. Recorded with high-end equipment: Sennheiser MKH 60/30, 40/30 mics, Primo mics and Sound Devices 744T Recorder and Sound Devices Mix Pre field mixer (Lundahl input transformers), Rycote blimp and windjammer, Manfrotto and Triton tripods, Mogami cables and Neutrik XLRs. The bora is a cold and typically very dry and often gusty katabatic wind (fall-wind) from the north-east. Bora winds can occur anytime during the year. However, the peak frequency occurs in the cold season (November – March). The bora is most common blowing down from the mountains on the eastern side of the Adriatic Sea where it flows mainly from the northeast through gaps in the Dinaric Alps. The strongest winds occur along the eastern shores of the Adriatic Sea from Trieste (Italy) to the Albanian border. It often reaches speeds of more than 100 km (60 miles) per hour and has been known to knock people down and overturn vehicles. It can reach speeds over 220 kilometres per hour. There are two primary weather patterns associated with the bora and both are locally classified as being a white bora and a black bora. The white bora is basically a dry and very gusty wind due to its katabatic nature. A white bora is characterized by cold, clear weather and good visibilities in the lee of the coastal mountains, while thick clouds associated with up-slope motions are found on the mountain crests. Black bora winds are less gusty than those in a white bora, but might bring substantial amounts of rain or snow to the region. With the cyclonic pattern, the black bora is often accompanied by low clouds and reduced visibilities associated with rain and/or drizzle. 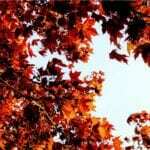 Location: The east Adriatic coast, Mediterranean; Recorded in Forests and Mountains. Gear Used: Recorded with: Sennheiser MKH 60/30, 40/30 mics, Primo mics, Sound Devices 744T recorder and Sound Devices Mix Pre field mixer (Lundahl input transformers), Rycote blimp and windjammer, Manfrotto and Triton tripods, Mogami cables and Neutrik XLRs.